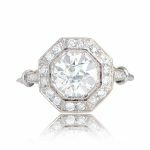 A delicate and low profile diamond engagement ring that features a GIA certified 1.14 carat old European cut diamond, H color, and VS1 clarity. 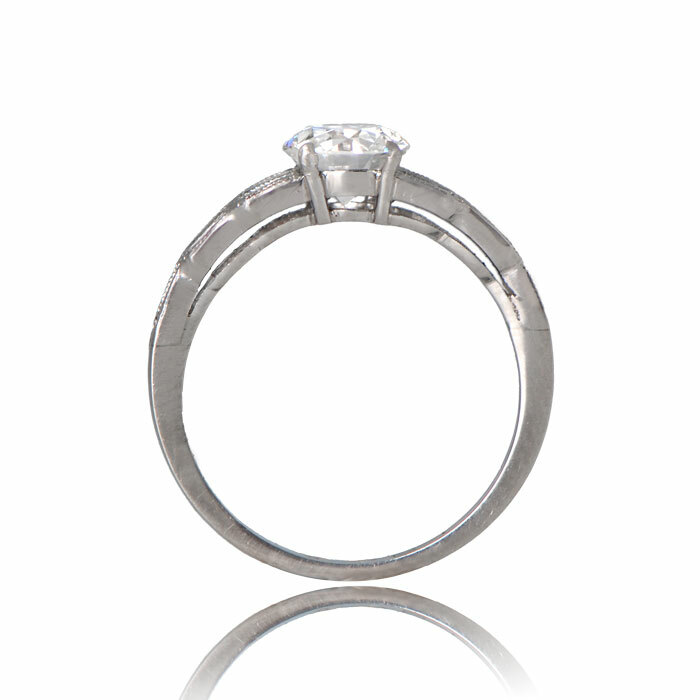 Flanking the center diamond is 6 baguette cut diamonds on each shoulder. This ring is platinum. 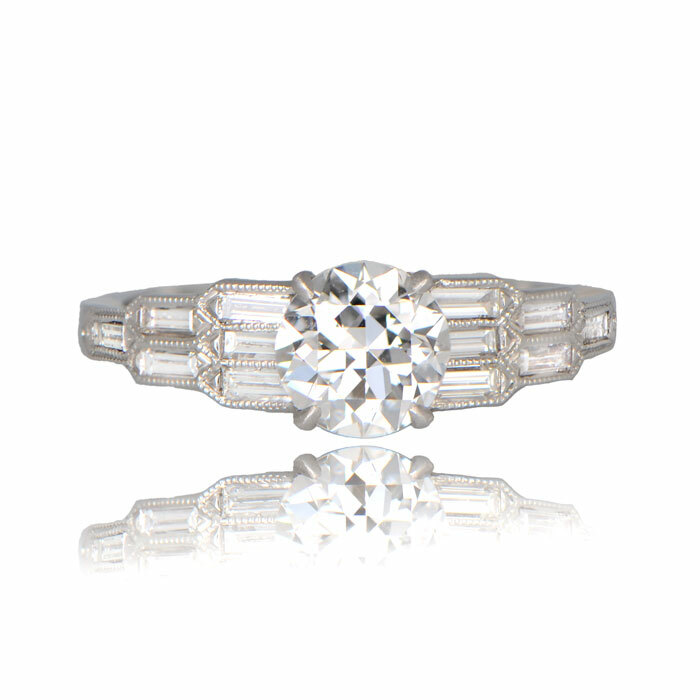 The total approximate weight of the side baguette diamonds is 0.36 carats. 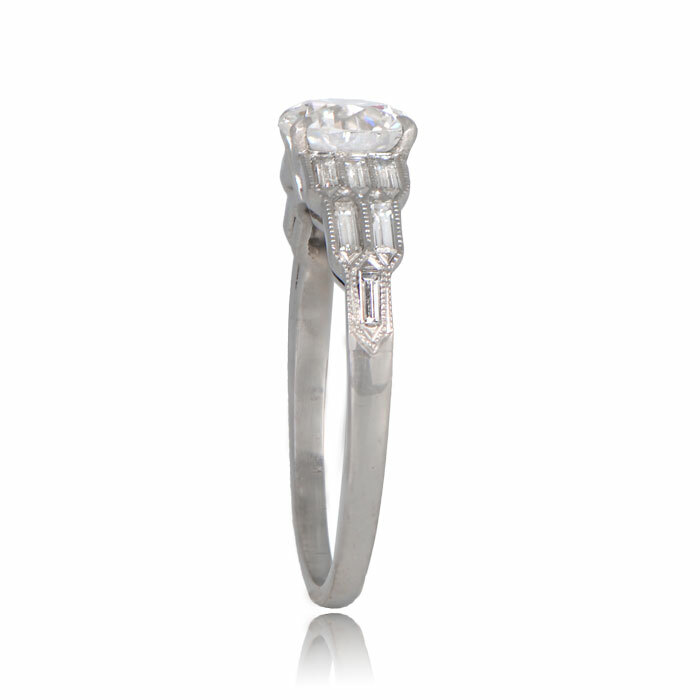 The measurements of the center diamond is 6.64mm x 6.72mm x 4.27mm. 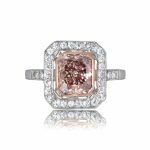 SKU: 11844 Category: Vintage Engagement Rings Tag: Interesting Engagement Rings - Contact us and request additional pictures.